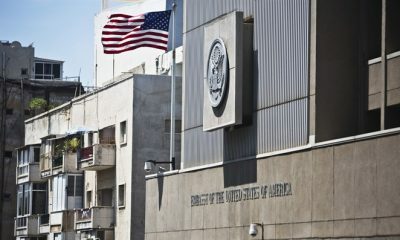 The United State Embassy in Nigeria said that it has shut down its visa and consular services section in Abuja until further notice, Naija News Understands. 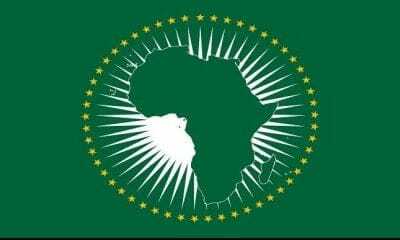 The embassy which did not give any reason for the action said in a message posted on its website that scheduled visa and ACS applicants for Abuja will be contacted for rescheduling. 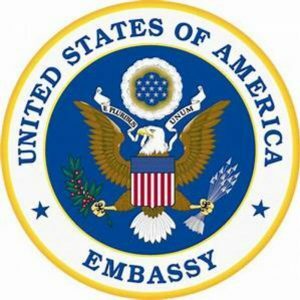 “Until further notice, all consular appointments at the U.S. Embassy in Abuja have temporarily ceased for both Visa and for American Citizen Services. Consular functions in U.S. Consulate Lagos are not affected and will continue.“Scheduled visa and ACS applicants for Abuja will be contacted for rescheduling. The embassy in its website earlier did not give a reason for the suspension of its consular services in Abuja which it later did in a statement. ”Due to reasons beyond our control we are temporarily unable to provide regular services for visa and American Citizens Services (ACS) in Abuja, but other offices within the embassy remain open. ”Please note that consular functions at the U.S. Consulate Lagos are not affected and will continue. ”Until further notice, applicants are encouraged to contact the Consular Office in Lagos for immediate emergency travel,” the embassy stated. The embassy advised applicants to please monitor the Facebook and Webpage of the U.S. Embassy for updates on consular operations. It stated that scheduled visa and ACS applicants for Abuja would be contacted for rescheduling. ”American citizens in northern Nigeria with emergency services needs should continue to contact the after-hours emergency number for Abuja at 09461-4000 and press “0” to go to the operator to request assistance. ”We regret the inconvenience this has caused to our applicants and hope to resume operations soon,” it stated.